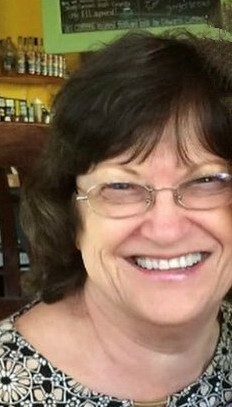 Shirley Poole Journigan finished her earthly journey on January 26, 2019 and went on to her justly deserved place in heaven. Shirley was born on October 14, 1935 to the late Hubert and Zula Poole in Raleigh, NC. She loved her family with all her heart and soul. She was loved by all for her love, devotion, and generosity to others, including those she did not know. She will always be remembered for being the best wife, mother, sister, and grandmother to her family. We will always love and remember you, mom. Shirley had many passions in her life, notably gardening, most especially flowers, and music. She was a great supporter of her grandson’s band, Black Horse Run. All her grandsons were the absolute light of her life. A celebration of Shirley’s life will take place on Sunday, February 3, 2019 in the Chapel of Bright Funeral Home, 405 S. Main Street, Wake Forest, NC. at 2:30pm. The family will receive friends from 1:00pm to 2:30pm before the service. Shirley is survived by her devoted soul mate and husband of 63 years, Sidney; son, Michael and wife Stefanie; son, Ken and wife Dee; four grandchildren, Michael Jr, Matthew, William, and Conner; Sister Barbara, and many nieces and nephews. She was preceded in death by her parents, and two sisters, Edna and Marie. In lieu of flowers, memorial contributions may be made in her honor to the American Diabetes Association or NorthPark Church of God.